The mission statement of the BCAGP as a nonprofit association is to preserve and maintain historic Berks County graveyards in Eastern Pennsylvania. 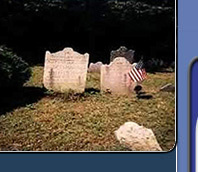 The Commonwealth of Pennsylvania Historic Burial Places Preservation Act of April 29, 1994 provides for the preservation of historic burial places and tombs, monuments and gravestones and imposing penalties. "A historic burial place is a tract of land that has been in existence as a burial ground for more than 100 years wherein there have been no burials for at least 50 years and wherein there will be no future burials." This law also restricts a municipality to alienate or condemn through eminent domain proceedings a historic burial place or appropriate a historic burial place to any use other than that of a burial ground. The above law also states that no portion of any such burial place shall be taken for public use without the approval of the Pennsylvania Historical and Museum Commission. Should such approval not be granted within a time period, not to exceed one year from the date approval was sought, approval shall be sought from the General Assembly. Research supports the existence of over 300 historic graveyards in Berks County. Of these approximately 120 remain with some sort of visible surface evidence. The BCAGP is working aggressively to preserve any and all evidence of Berks County's early history and particularly these historic graveyards for future generations. Support from membership, donations, and proceeds from sale of publications help to provide funds for our activities. The official registration and financial information of the Berks County Association for Graveyard Preservation may be obtained from the Pennsylvania Department of State by calling toll free, within Pennsylvania, 1-(800)732-0999. Registration does not imply endorsement.